Doctors tell Sharon family members that they do not expect him to survive the weekend, although the end could come within hours. Ariel Sharon's medical condition stabilized somewhat overnight Wednesday, Israel Radio reported Thursday morning. With that, medical officials said, he is not likely to survive much longer. Doctors have told Sharon family members that they do not expect him to survive the weekend, although the end could come within hours. Sharon's kidneys and urinary system collapsed over the past several weeks. He underwent emergency surgery, but in recent days his situation has deteriorated even further. At this point, doctors have told family members, there is nothing more they can do. Medical officials said that they are awaiting family decisions on options that have been presented regarding Sharon. Family members, including his Sharon's two sons Omri and Gilad, have been holding a vigil at the former Prime Minister's bed in Tel Hashomer Hospital outside Tel Aviv, surrounded by large numbers of police and Shabak agents. 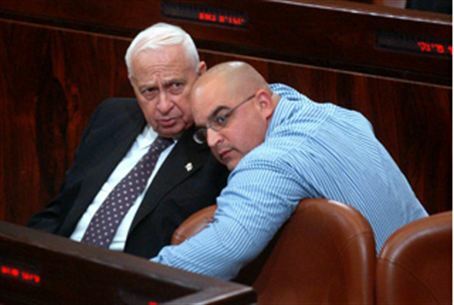 Channel Two reported that an unnamed government minister visited Sharon Wednesday night, and spoke with his sons. Sharon, now 85, served as Israel's Prime Minister from 2001 to 2006. During his tenure, he initiated the Disengagement plan, during which thousands of Jews were deported from Gaza and northern Samaria - turning the once-fertile region over to Hamas-control. Sharon suffered a serious stroke on January 4, 2006 and has been comatose since. In January 2013, US and Israeli specialists reported that Sharon had showed "significant brain activity" in an MRI scan, responding to pictures of his family seven years after the stroke. Despite this, Sharon's condition basically remains unchanged.